Key aspects of disease management are covered in this video, including the multidisciplinary team approach, medication strategies and the importance of physical therapy. 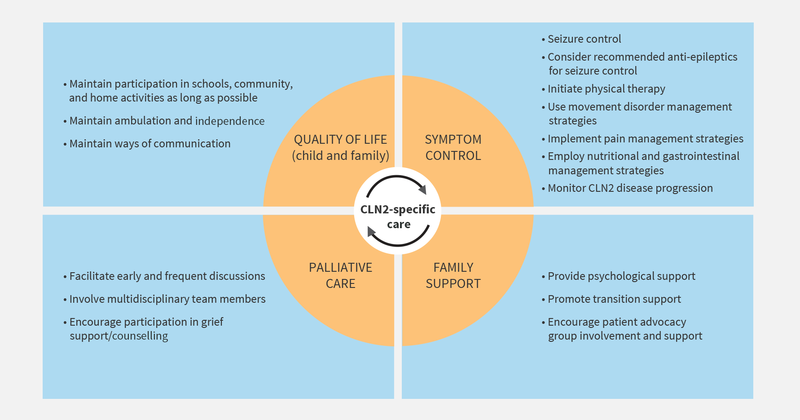 Although these are CLN2 disease-specific management strategies, some may apply to the management of other NCLs. 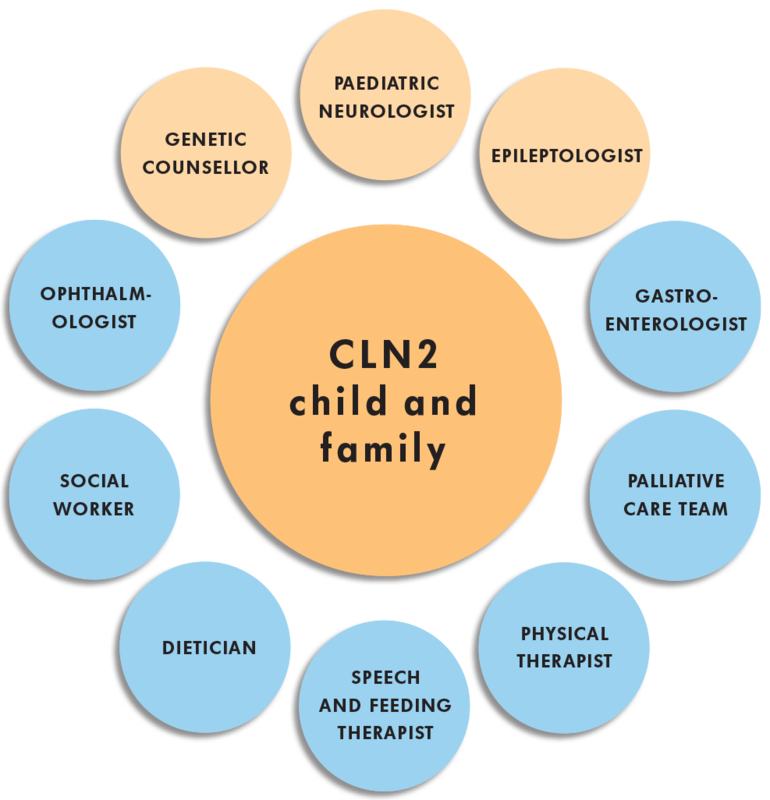 CLN2 disease-specific care can positively impact the quality of life of the child and the family.